Check here to confirm that you accept our terms & conditions and understand your rights with regard to our use of your personal information. - Open to residents of the UK. Entrants must be over 18. - Maximum one entry per person unless otherwise stated. Entries via agents of third parties or the use of multiple identites and email addresses are not permitted. - Entries must be completed online by the closing date stated. Use of automated entries or programs is prohibited and all such entries will be disqualified. - No cash or other alternative prizes are available. - We reserve the right to modify, suspend, cancel or terminate the promotion or extend or resume the entry period or disqualify any participant at any time without giving advance notice and will do so if it cannot be guaranteed that the competition can be carried out fairly or correctly for technical, legal or other reasons. 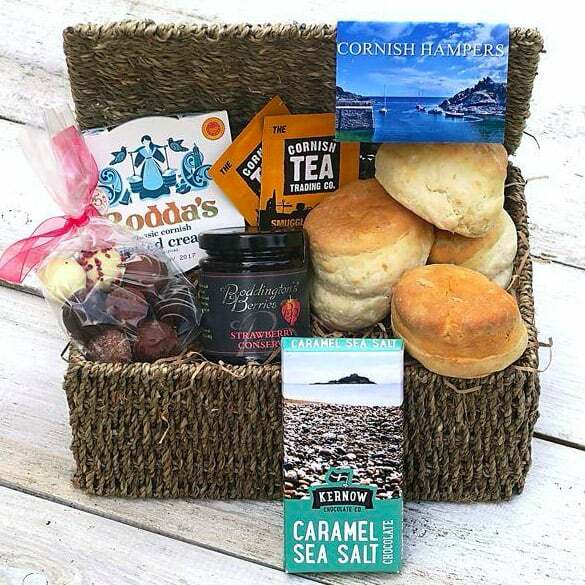 By entering this prize draw, you are agreeing for your personally identifiable information to be used by Cornish Hampers and We Are Group Ltd. who may use it to provide you with ongoing information about their products and services.